Balch Camp Dam Low Level Outlet Gate Repair - Global Diving & Salvage, Inc.
Global’s California region was contracted to assist with a 30” low level dam outlet gate repair. The existing slide gate valve used to control the water level in the afterbay area was not closing, causing an unplanned release of water. Phase 1 of the project included silt relocation efforts and an ROV inspection to monitor the progress. 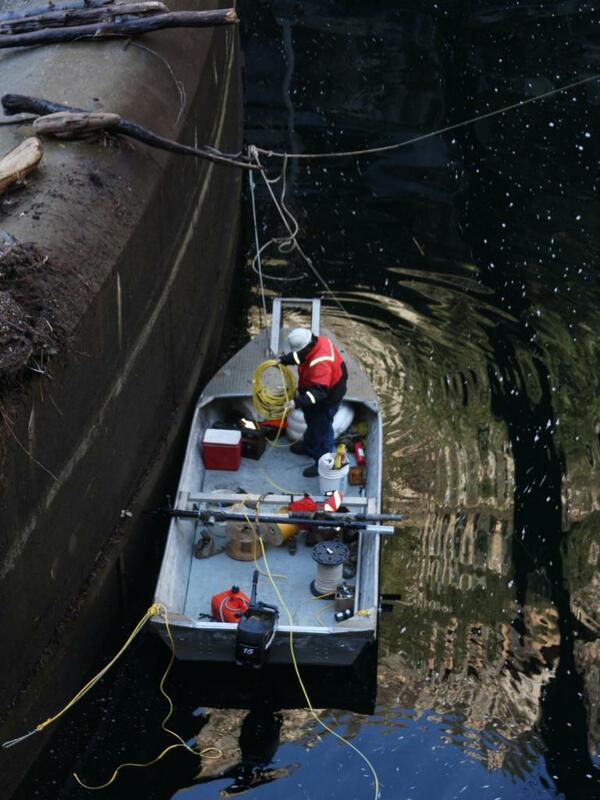 During phase 2, divers removed and replaced the existing steel control lines with new stainless steel welded tubing. The team also replaced the existing low level outlet (LLO) cylinder after making repairs to the gate. One of Global’s ROVs was used to perform an inspection of the valve and inside of the trashrack structure. The ROV was equipped with a forward looking sonar head that would allow the operators to get a picture of the obstruction from outside the trashrack at a distance safe for the ROV to avoid the flow. operators were from 300 lineal feet to over 600 lineal feet. The lines had an elevation change in excess of 150 feet. Sections of piping, from the cylinder to the surface were welded together on the surface and installed underwater. After removing and replacing the hydraulic lines, Global replaced the 30” LLO gate operator with a rebuilt unit. The 60” LLO was changed out on a subsequent project and the vertical runs changed at that point. This was due to the amount of silt cover over the 60” LLO during the initial work. After all the lines and cylinder were replaced, the system was thoroughly flushed, new oil installed and the gates were tested to ensure functionality. 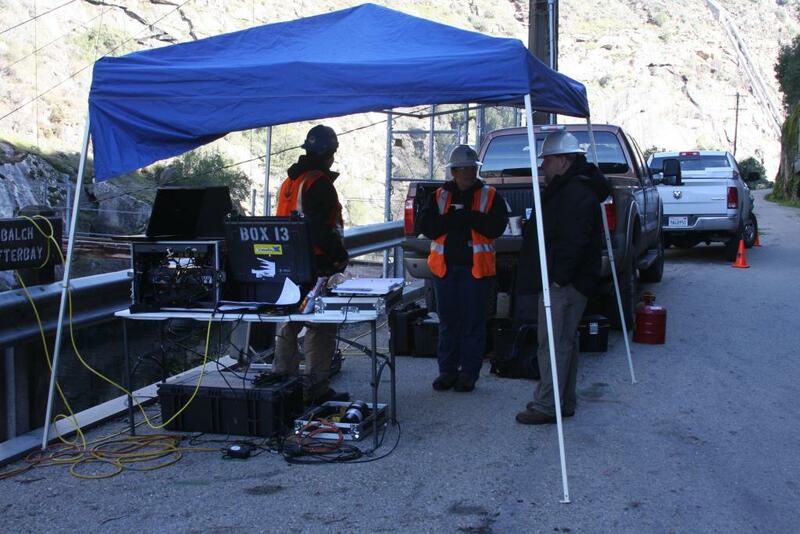 Diving depths were in the range of 100 ffw at an elevation of 3000 ft. Due to this elevation and water depth, combination surface decompression was utilized during the gate repair project.